Having MsgFiler launch at startup means its always available for you when working in Mail. 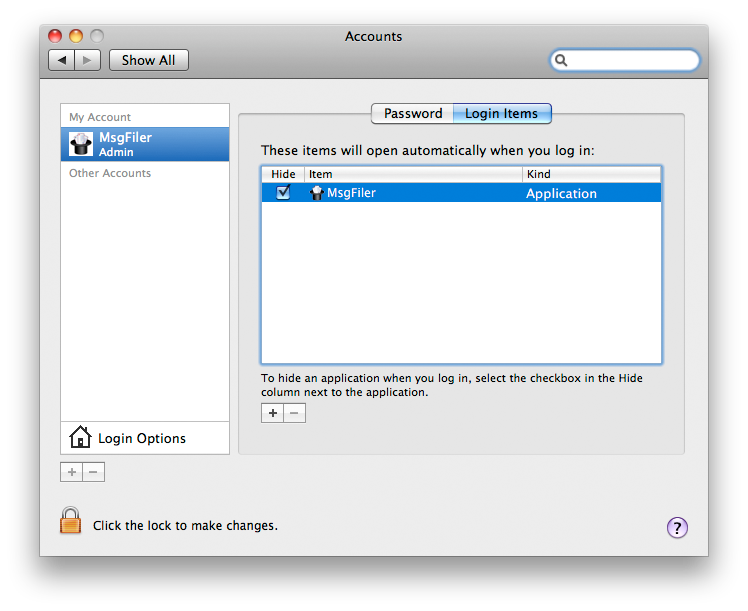 Checking this box will cause MsgFiler to be added to your Login Items within the System Preferences Account pane. MsgFiler Engine is an optional Apple Mail plugin that you can install to make filing to remote IMAP mailboxes faster. It is not required, but is a welcome addition for those who are used to the performance of the previous MsgFiler 2 Mail Plugin. Learn more about the MsgFiler Engine here. Note: Enabling the MsgFiler Engine to file your messages will disable the preference for moving the selection up or down after filing. Furthermore, undo/redo support will be handled by Mail.app instead of MsgFiler.